If you work in education or do any kind of training then chances are you work with a business model from last century. What’s more, you probably work with a model of education that dates from the century before. Or the one before that… Seriously. Perhaps if you’re like us, disturbing thoughts like these have been nagging at the edges of your consciousness for a while. Perhaps you’ve suddenly noticed that the world you live in is radically different to the one you grew up in. Whatever your situation, you know there’s a problem even if you can’t quite put your finger on it. And it’s beginning to affect you. Education is due for major disruption… Everything else is being disrupted and education won’t be any exception. It’s going to get cheaper, faster, smarter, and more convenient. And that has implications for your job. And your expertise. You need to start thinking about what you are going to do. Doing nothing though is not an option. In fact doing nothing while everyone and everything around you moves forward is pretty much the same as going backwards. One part of the solution is to design the way you want to work. For us this means working on projects with a small agile team, being mobile and “always on”, working from home (or anywhere), being geographically dispersed, and ignoring conventional establishment wisdom. Everything in education can be a project too by the way. This includes training, resource development, writing and publishing, and running conferences. If you make everything a project then you can project manage. We use Basecamp for this. “Always on” means that you can work on you projects anywhere. This short manifesto was written on several laptops, iPhones, and an iPad using a cloud-based note taking application called Evernote in various cities and towns in New Zealand. Another part of the solution is to do education and training in new ways that meet the needs and demands of 21st century work and life. This is where your expertise needs to collide with new opportunities and disruptive technologies. We also think a considered approach to embedding the literacy and numeracy that your learners (and other end-users) need should be part of this. That’s our specialty by the way. But if you want to pay the bills your business model needs to follow too. One major key to getting results in the brave new world of education is staying future focused and generating a business model that works in the 21st century. Need more food for thought? 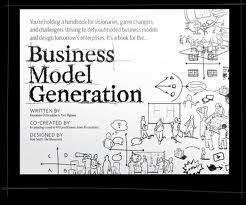 Check out Alex Osterwalder’s book for examples of great business models. What kind of business models can you generate? What about for non-profits? For the public sector? For the private sector? What would it look like if you could design the way you want to work and train? What does “always on” mean for your business or education model?